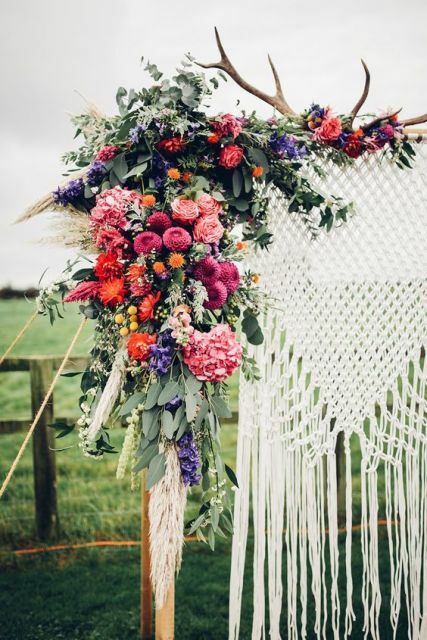 If you are planning your summer or fall wedding and picking up boho chic theme for it, continue reading this article. 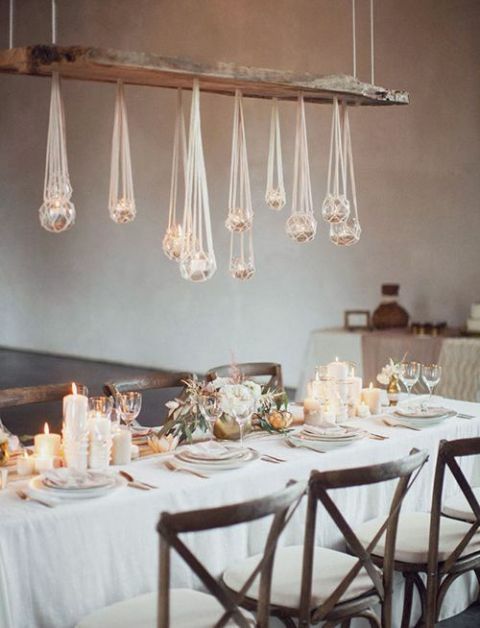 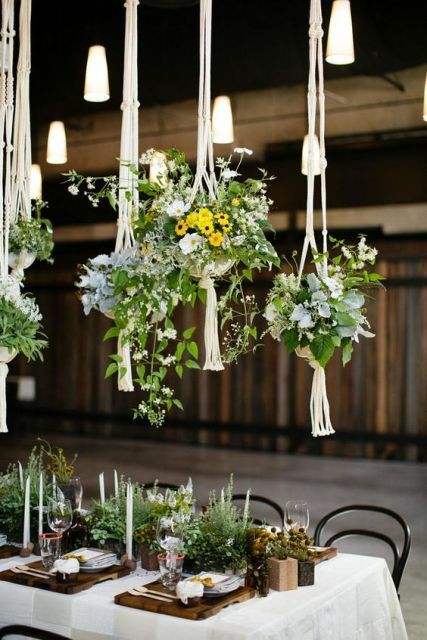 Today I offer you to add these macramé knotted ideas for your wedding décor. 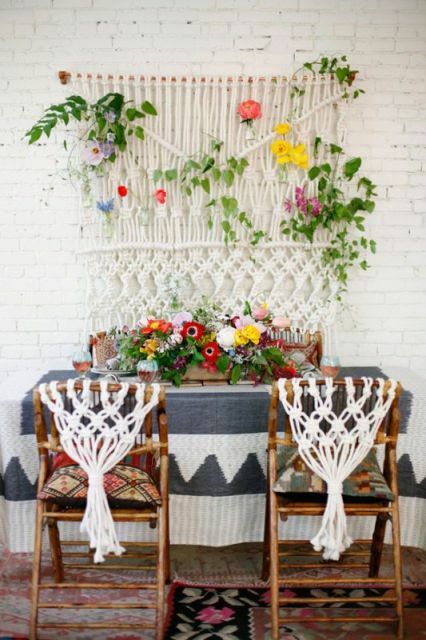 I think you know what macramé technique is, but if it isn’t clear for you, let me remind you that macramé is a technique of tying decorative knots. 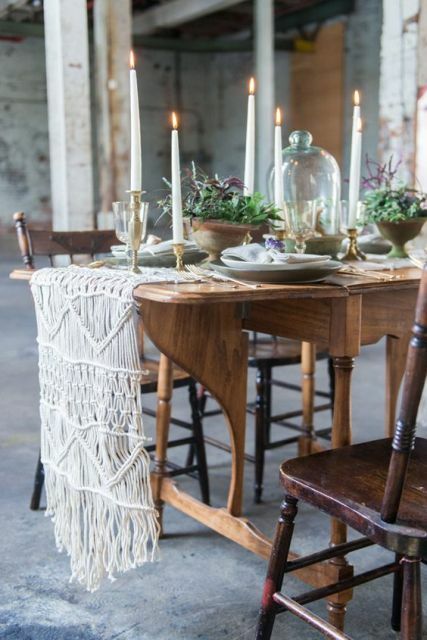 This craft was very popular in 1970 in the USA, and now we have many stunning ideas, including wedding décor ones, how to use macramé. 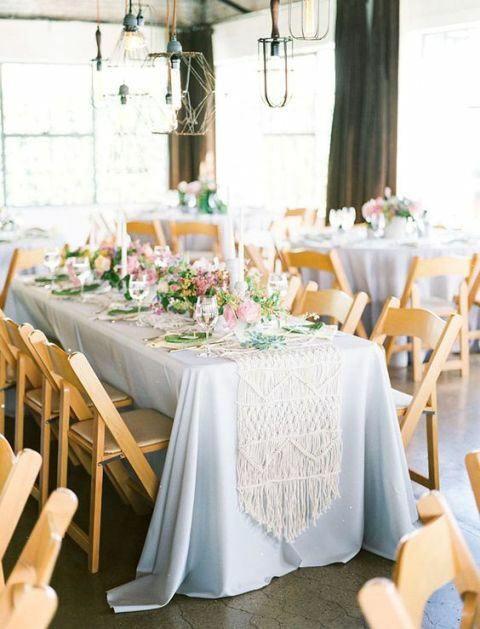 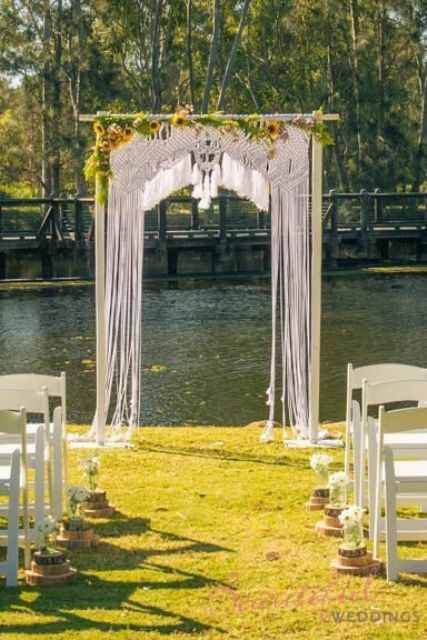 If you have patience to learn or know macramé technique already, you can make all wedding décor details independently. 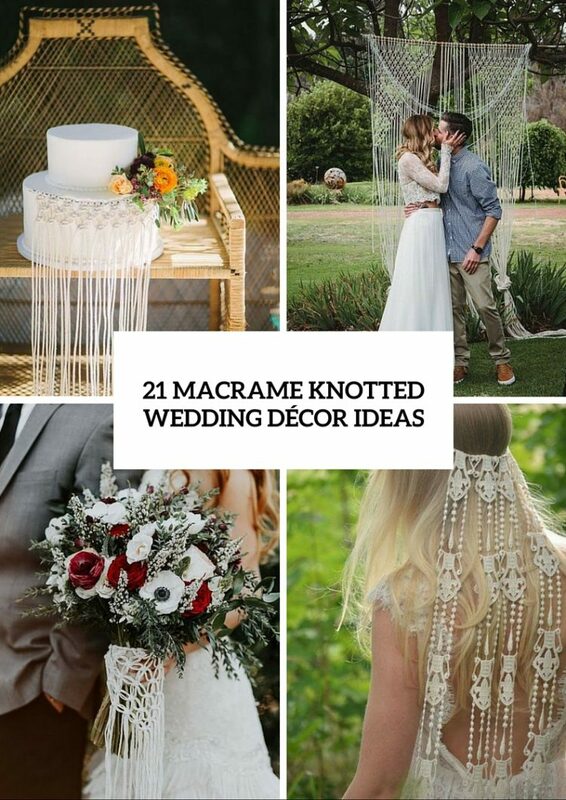 In the Internet you can find simple and understandable tutorials how to create various macramé knots and get beautiful crafts in the end. 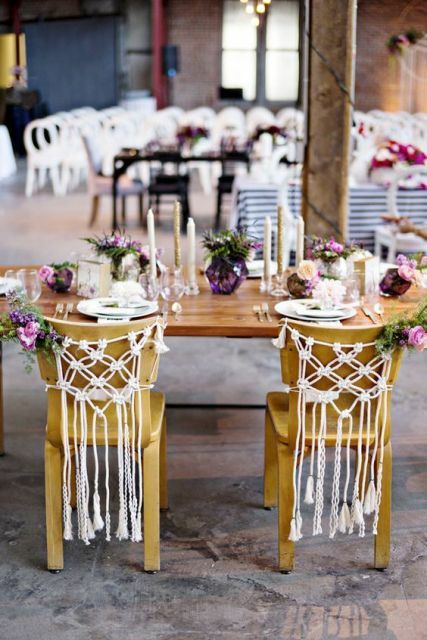 Macrame knotted décor ideas will be perfect for bohemian weddings, but if you wanna, you can incorporate them into rustic, barn or even vintage themed weddings. 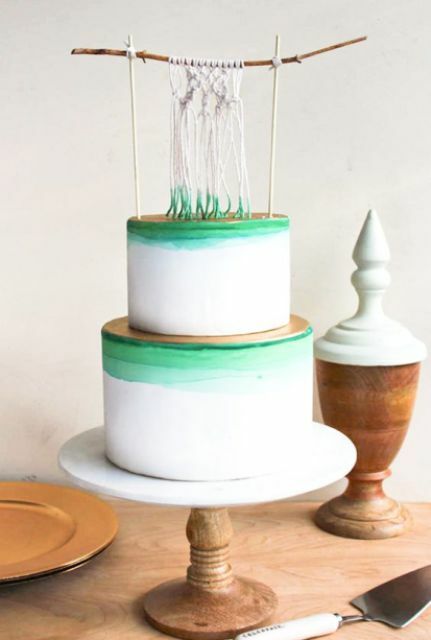 So let’s consider what you can create. 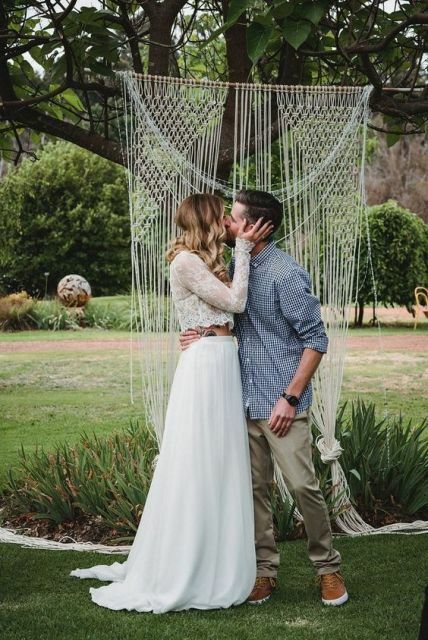 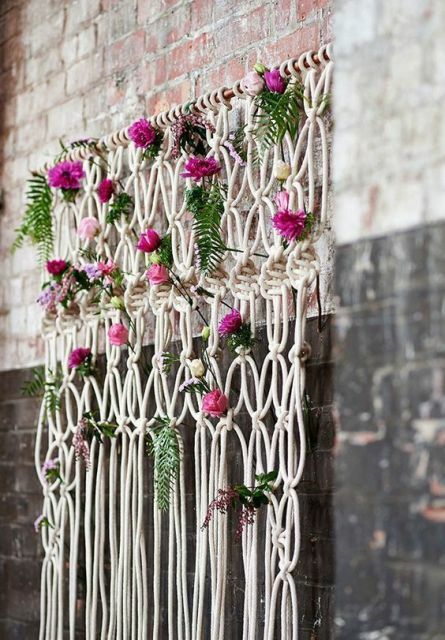 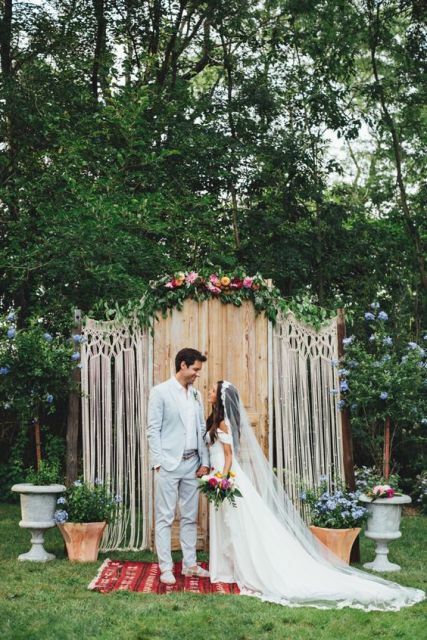 The most common and popular way of using macramé is to make a wedding backdrop for a ceremony or photo session. 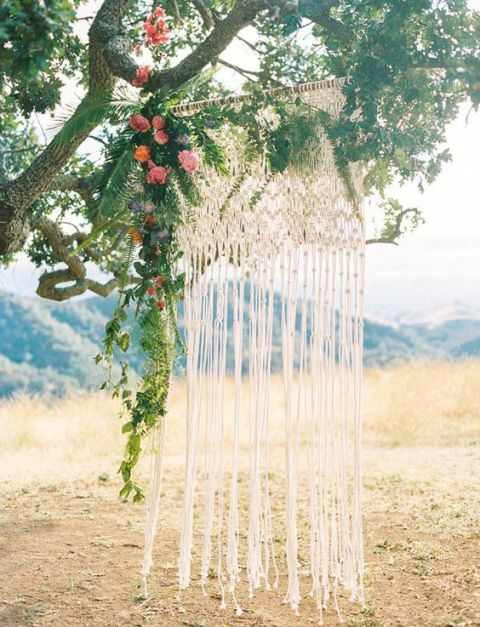 It can look good for outdoor and indoor weddings, you can hang it on a tree or just on a wall. 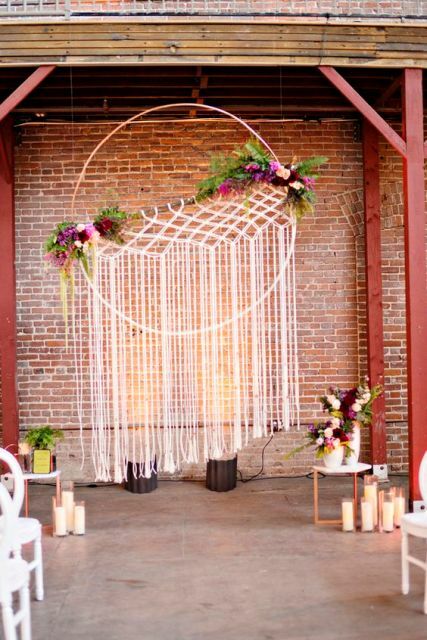 Decorate this backdrop with fresh flowers, greenery and ribbons. 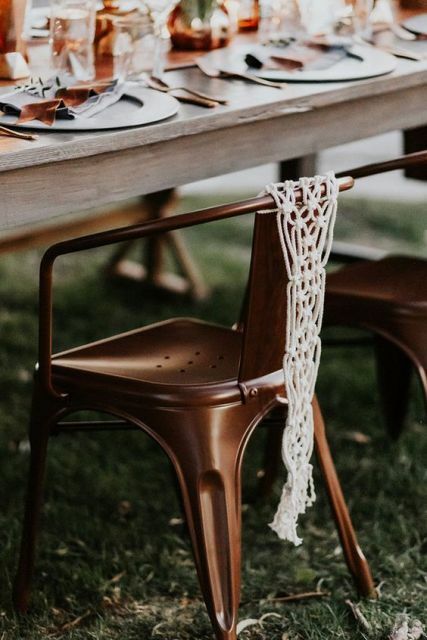 One more idea is to make chair’s or table’s décor details, you can use macramé pieces as table runners or wrap vases or candle holders with them. 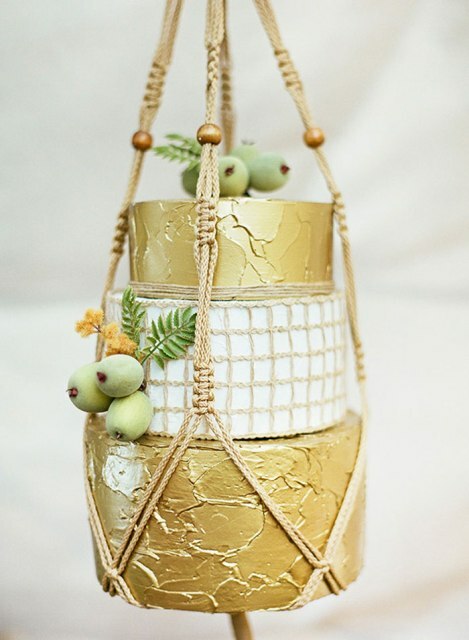 If you think that you can’t decorate your wedding food with macramé elements, you’re wrong. 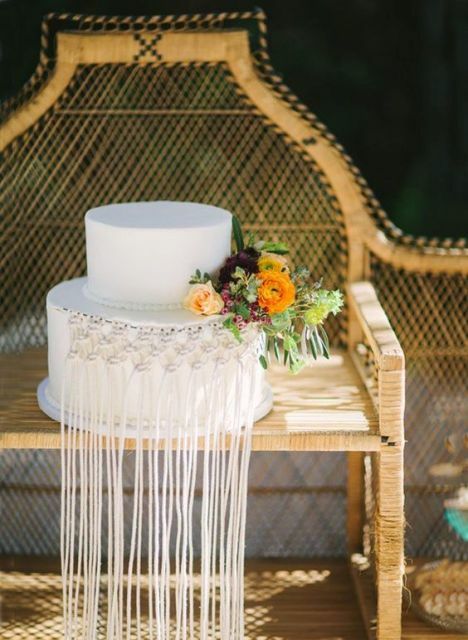 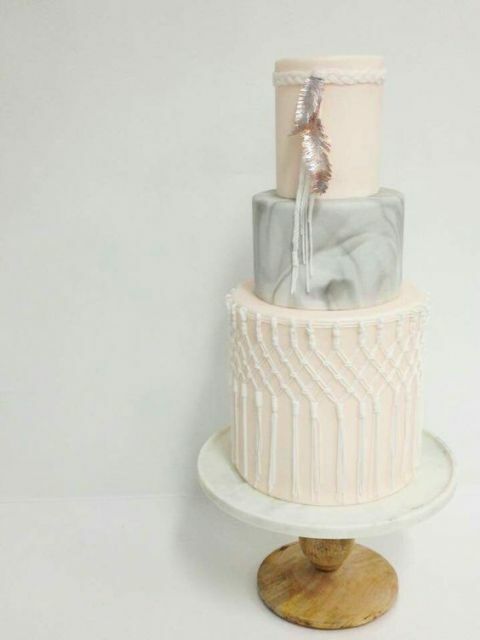 Just look below at the pics with stunning wedding cakes, you can ask your baker to create macramé imitated cake décor or make a hanging macramé cake holder. 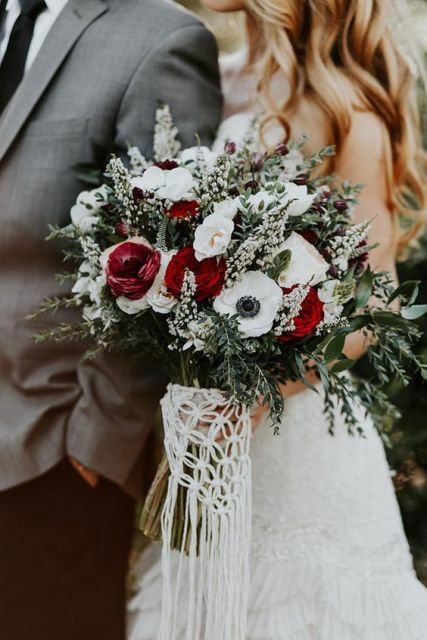 And of course don’t forget to add macramé décor pieces to bridal or groom looks as hair accessories or additions to boutonnieres. 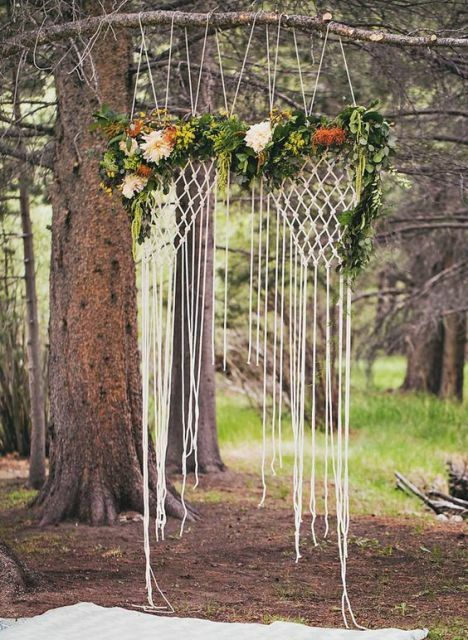 Now scroll down to see more inspiring and cute ideas for your wedding!